Know what to remove – Another example would be the RoboCop remake. Instead of his wife leaving him, she ends up being more directly involved. Such a move was met with mixed reactions from both critics and fans. Do not open yourself to the possibility of making a significant change in your B2B marketing message until you also establish what should be retained. Know what to retain – On the bright side, the RoboCop remake used Murphy’s wife as an excellent way to reiterate the original’s old theme of man overriding the machine. The same could be said of the new Godzilla remake with its themes of technology versus forces of nature. Likewise, your B2B marketing messages need to retain a sense of original identity so it’s always good to establish that even as the years age your business. Create resulting improvements – Knowing what to remove and what to retain helps get a clearer idea on what to actually improve. It’s like when they turned a 50-foot Godzilla into what is currently the biggest incarnation of the beast (at least three times the original height). 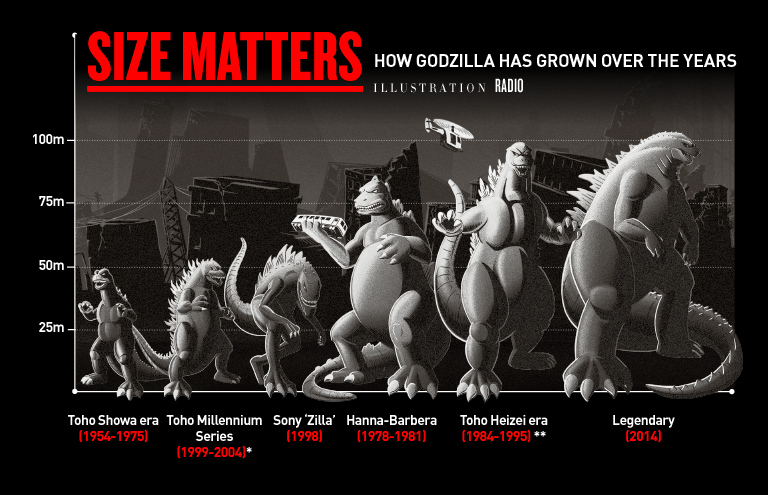 While the change was noticeable, it was only to keep the monster in scale with today’s largest buildings. Adjusting it to current generation – Not everyone can appreciate the classics. That’s why remakes are there: to inspire it but at the same time, make it relevant to present viewers. B2B marketers face the same, if not exact, challenge (especially in a world that is constantly changing business via technology). The reasons for which reboots and retcons succeed (or fail) are the same reasons that determine the success of many campaigns that involve rebranding or shifting old marketing messages. B2B marketers should be just as careful as their B2C counterparts when doing so. This entry was posted in b2b leads, Event Telemarketing, Lead Generation, Social Media Marketing and tagged b2b lead generation, b2b marketing, godzill 2014, rebranding, robocop, sales lead generation, x-men: days of future past by admin. Bookmark the permalink.